As you may have noticed, we recently made some changes to our dropouts, specifically the Wednesday dropout (found on the Wednesday, new Karate Monkey, and new Krampus) and the Troll dropout (found on the new Troll, Ogre and ECR). These dropouts can run 12mm thru axle hubs or 10mm bolt on or QR hubs with the use of our 10/12 Adapter Washers. We found there was a need for a chain tensioner system for those wanting to run single speed or IGH setups and thru axles but nothing was available. So, we made one and called it the Snuggnut. This tensioner celebrated a “soft” release on the 2017 Karate Monkey single speed complete bikes but is now offered as an aftermarket part. I can hear your cheers from here. When you first look at the Snuggnut you will notice the pusher block is oriented “wrong” or differently compared to the Tuggnut. This is intentional. The Snuggnut was designed to interface perfectly with the Wednesday dropout and allows tensioning throughout the whole throw of that dropout but a few extra steps need to be taken to get the full adjustability on the Troll dropout. 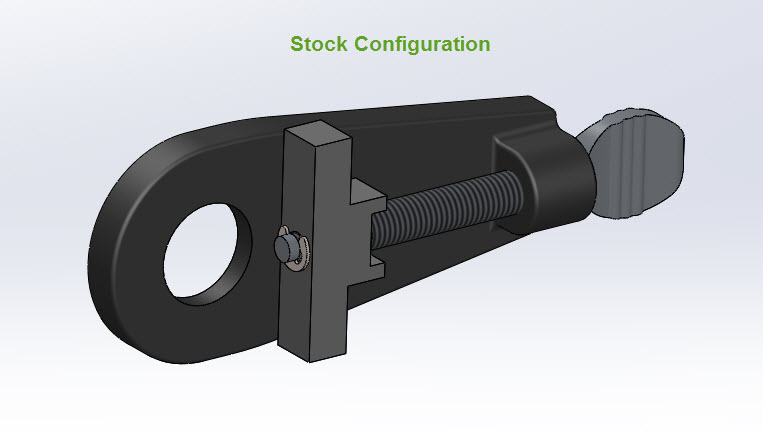 It was important to use the same hardware and small parts between the Tuggnut and Snuggnut for interchangeability and ordering purposes. 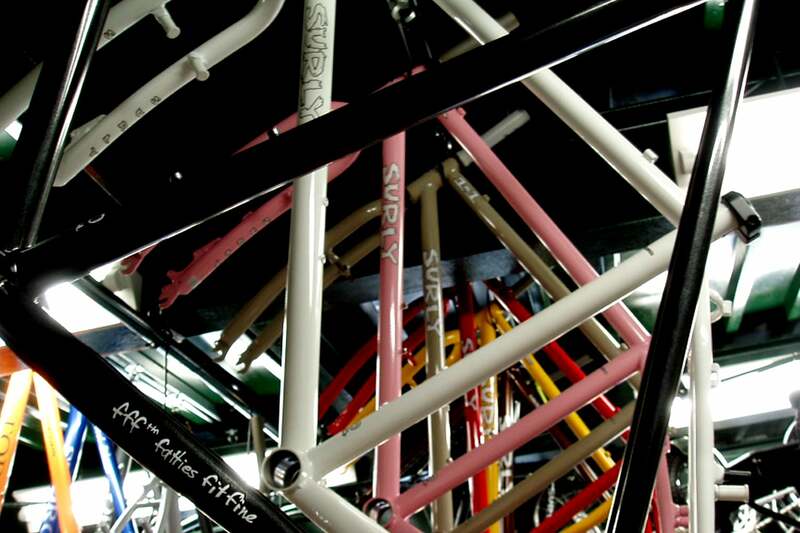 This means you may need to flip the pusher block depending on where you want your wheel in a Troll dropout. The Snuggnut comes assembled with the pusher block oriented with the flat face pointing towards the axle. In the stock configuration, you can tension your wheel starting 7mm back in the Troll dropout all the way to the back of the dropout. 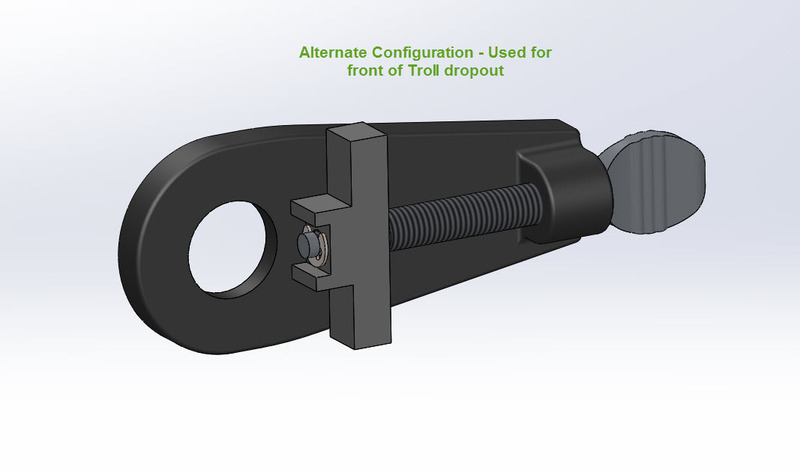 If you want to get the first 7mm of the Troll dropout you will need to flip the pusher block so the flat face points away from the axle. The procedure is pretty straightforward, almost anyone has the mechanical skills for this one. Procure some patience and a cold beer or similar. Remove the C-clip on the end of the thumb screw – careful not to lose it in the process, those things tend to shoot off into the smallest nook and/or cranny. Slide the pusher block off, flip it around and slide back on to the thumb screw. And there it is, you’re done. Maybe have another beer while you put your wheel back on and tension your chain. As always, if you’re not comfortable with this procedure or any other bike maintenance, bring the bike to your local shop and make sure to bring them some doughnuts or a 6-pack. The Snuggnut installation instructions can be found here as well.